A site about space as thing and, sometimes, sound in space by Calum Storrie. Description of a town in Italy. Around 1986. When I showed some of my ‘live’ drawings recently there were a lot of jokes about drawing with my eyes closed. That, of course, is not what I do. I look at the subject of the drawing but not at the drawing itself. Last night at Cafe Oto for the first of the ‘Art of Improvisers’ season I did two very quick drawings of the saxophonist Julie Kjaer. One with my eyes open and one, as an experiment with my eyes closed. And there was almost no difference. 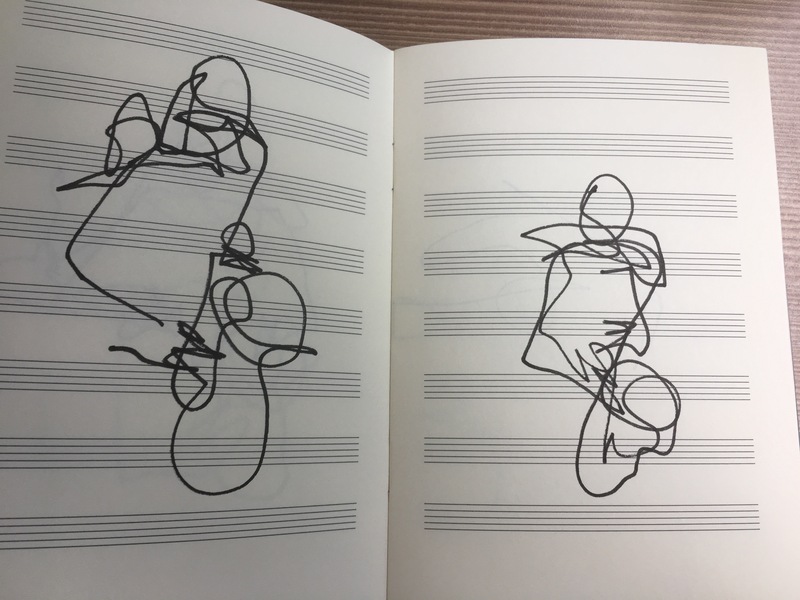 Some of this is due to visual memory I guess but there is also ‘body memory’ involved…and the fact that the two drawings were done, pretty much, back-to-back.